Embroidered Patch. This patch is made of heavy duty fabric with dense embroidery. Very High Quality with Brilliant Colors. 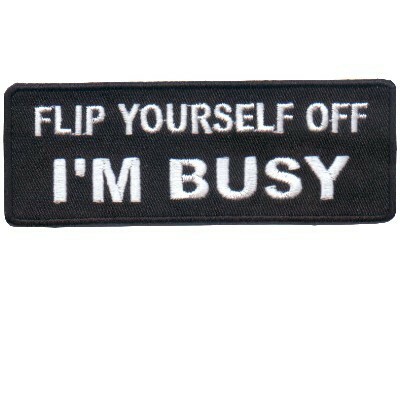 Flip Yourself Off I'm Busy Size: 4 inch by 1 1/2 inch. Colors: Black and White Sew or Iron on.